One cable for all your audio devices! This convenient 3.5mm Stereo Audio Cable, Male to Male (1.2m) connects just about any audio devices together! 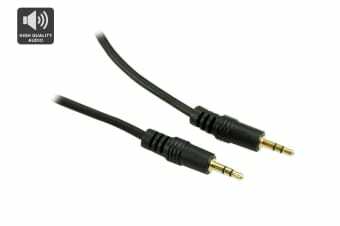 Enjoy your favourite music loud and clear by connecting your tablet or smartphone to external speakers or even to your stereo system with this cable. The cable worked as expected.